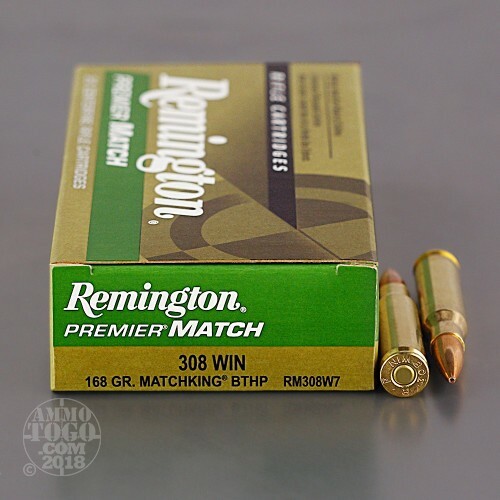 This 308 Win cartridge is from Remington’s Premier Match line of ammunition, and is built from the ground up to give your rifle absolutely peerless accuracy. 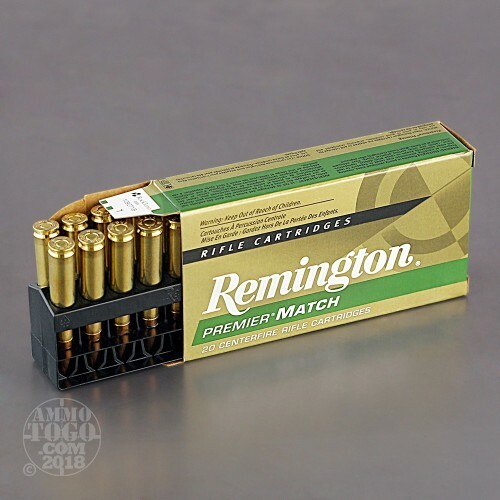 Remington drew and tapered this cartridge’s brass casing with unerring precision, so it seats its bullet perfectly, carries a propellant charge that creates the ideal chamber pressure for its caliber, and feeds and ejects with ease. 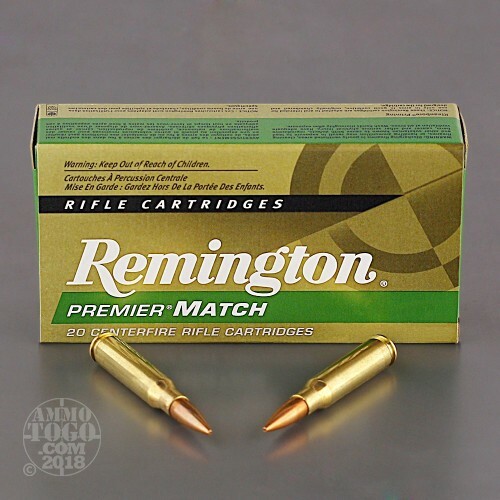 Remington’s primer is non-corrosive, and their propellant is clean burning, -- together they’ll keep your bore pristine as you’re out driving tacks. This round features Sierra’s own MatchKing projectile. The bullet’s jacket is drawn so as to leave virtually zero variation in its concentricity, a feat that gives it amazing rotational stability. The MatchKing additionally boasts a very high ballistic coefficient, so it keeps a greater part of its muzzle velocity as it whizzes far downrange and resists wind drift. MatchKings are extremely standardized, and have interchangeable weights and meplats. 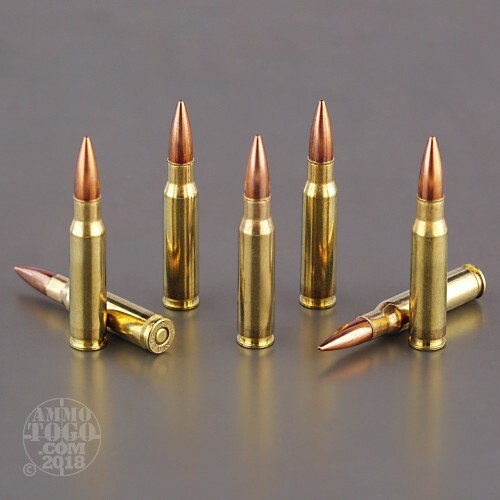 The result is a bullet you can look to to get incredibly tight groupings -- you may not even be able to count how many times you’ve hit the bullseye.